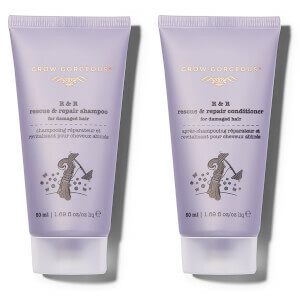 Transform your tresses with the Grow Gorgeous Repair Shampoo and Conditioner Duo. The pair of haircare products utilises an ultra-nourishing blend of actives, extracts and vitamins to restore strength and vitality to locks, creating soft, healthy and shining hair from root to tip. Rejuvenate damaged hair with a lightweight, non-foaming formula that effectively cleanses and fortifies dry, weak strands from root to tip. Infused with a cocktail of beneficial ingredients, including Amino Acids, Sea Satin™ and Bamboo Extract, the purifying shampoo refreshes and hydrates hair, whilst promoting strong, resilient tresses that feel healthy. Vitamins B and E are combined with Cupuassu Butter to nourish and protect hair that has been damaged by bleaching and excessive heat styling. Breakage-prone locks are regenerated with restored vitality. 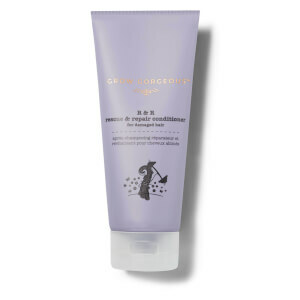 Revive damaged locks with an intensive fortifying treatment that restores, protects and strengthens stressed hair damaged by bleaching and excessive heat styling. The reparative formula combines the benefits of ultra-moisturising Murumuru and Cupuassu Butters, Sea Satin™ and silica-rich Bamboo Extract with Vitamin B, E, and Keratrix™ (a restorative natural active that works to improve elasticity in weakened tresses). 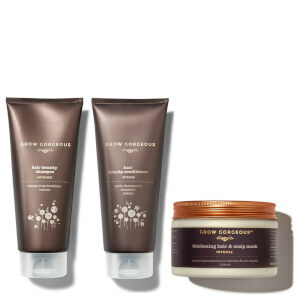 Expect intensely nourished and conditioned strands with resilience to breakage and a smooth, hydrated look.